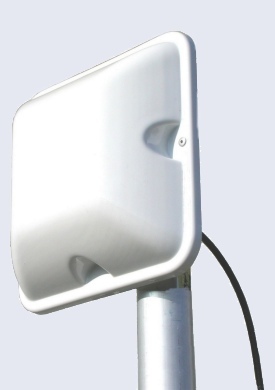 Multi-band base station antenna working on 1.7-2.5 GHz conceived for DCS 1.8 GHz, PCS 1.9GHz, DECT, UMTS and WLAN systems. The radiant element is made on a PCB and it is protected by a UV-stabilized radome to get the best performance for long periods of time. 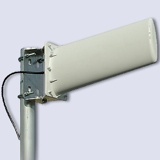 It’s supplied with an aluminium bracket for an easy installation on the mast.